Check out the 26 communities presenting free Levitt concerts in 2019! Holiday decorations have been put away, New Year’s resolutions have been made and we’re already dreaming of warm spring days—bringing us one step closer to the 2019 Levitt concert season! This year, more than 550 free Levitt concerts will take place in 26 towns and cities nationwide, serving more than 750,000 people. And planning is already underway! Across the country, Friends of Levitt nonprofit partners and Levitt AMP grantees are hard at work to make 2019 the most impactful season yet—energizing public spaces in metropolitan centers like Los Angeles, where Angelenos will gather in MacArthur Park to enjoy free outdoor concerts in one of the city’s densest, most diverse neighborhoods; to rural communities like St. Johnsbury, Vt., where residents and visitors alike will come together to experience the joy of free, live music atop the scenic Dog Mountain, in a formerly industrial area. 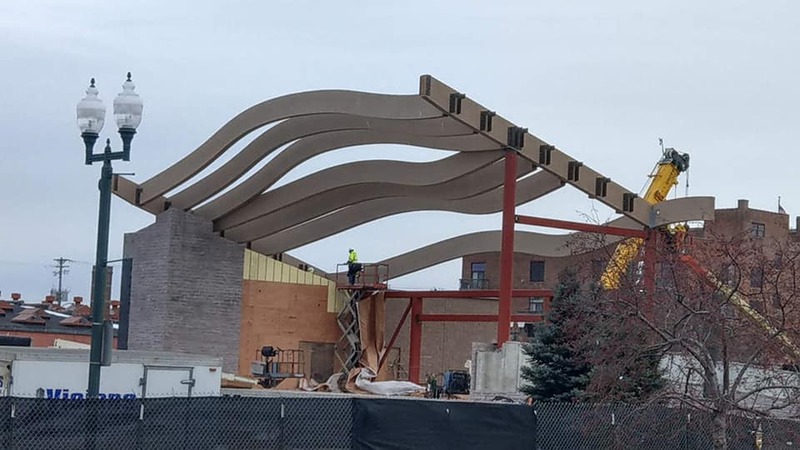 Construction crews are hard at work preparing Levitt Shell Sioux Falls for its June 2019 launch. Image courtesy of Levitt Shell Sioux Falls. 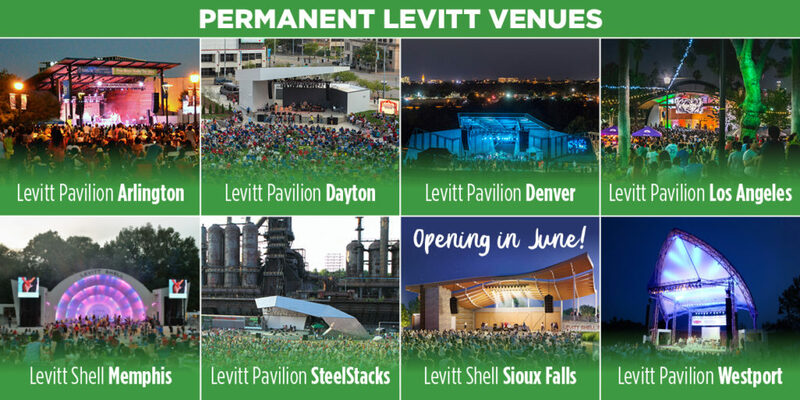 On the heels of Levitt Pavilion Dayton’s memorable inaugural 2018 concert season, the permanent Levitt venue network is continuing to expand in 2019, with Levitt Shell Sioux Falls opening to the public this June in the city’s beautiful and historic namesake, Falls Park. Construction is currently underway to build a state-of-the-art, outdoor music venue at Falls Park West, the underused entrance to Falls Park that’s located adjacent to the city’s downtown. Each of the permanent Levitt venues—located in Arlington, Texas; Bethlehem, Pa.; Dayton, Ohio; Denver; Los Angeles; Memphis; Sioux Falls, S.D. ; and Westport, Conn.—present 50 free concerts each year and are managed, programmed and supported by a Friends of Levitt nonprofit partner, with Levitt Los Angeles run by the Foundation. 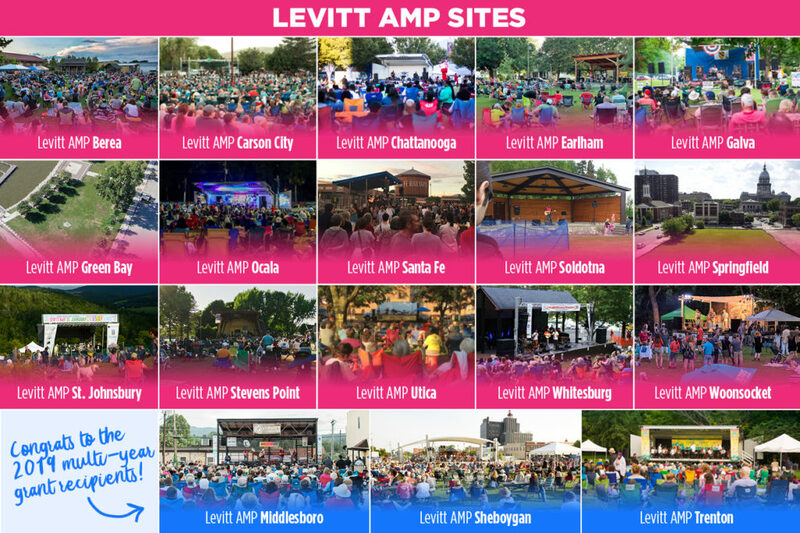 In 2019, 18 small to mid-sized towns and cities will present free Levitt concerts through the Levitt AMP Music Series. Each Levitt AMP grantee will present 10 free concerts in a reimagined public space. 2019 locations include: Berea, Ky.; Carson City, Nev.; Chattanooga, Tenn.; Earlham, Iowa; Galva, Ill.; Green Bay, Wis.; Ocala, Fla.; Santa Fe, N.M.; Soldotna, Alaska; Springfield, Ill.; St. Johnsbury, Vt.; Stevens Point, Wis.; Utica, N.Y.; Whitesburg, Ky.; and Woonsocket, R.I. And congratulations again to returning Levitt AMP grantees Middlesboro, Ky., Sheboygan, Wis., and Trenton, N.J., which were awarded multi-year funding to present the Levitt AMP Music Series in their towns for the next three years. Be sure to stay tuned for concert season info and artist lineups—coming soon! This entry was posted in Levitt in America on January 17, 2019 by Nicole McGaffey. We are so excited for another summer of concerts in Utica,NY. Thank you so much for this great opportunity! no la encontraba. Estoy de concierto con lo que indicas. Gracias es un gran aporte. ¡Gracias y avísanos se tienes preguntas!